Allan Dwayne Schoenborn is shown in an undated RCMP handout photo. VANCOUVER -- A prosecutor's rare tactics to block a British Columbia man who murdered his three children from gaining some freedom is laying the groundwork for a possible test of the Conservative government's tough-on-crime agenda. Crown lawyer Wendy Dawson will be gathering an update on the mental state of Allan Schoenborn at the same time as she opposes his limited release being sought by doctors when his annual review resumes on Wednesday. Schoenborn's horrific crime was pushed back into the national spotlight when Prime Minister Stephen Harper used the case in 2013 to bolster amendments to the Criminal Code. Harper promised his legislation would ensure that people too dangerous to be released would no longer be a threat to their victims. The bill passed last year. Those watching the case believe prosecutors are manoeuvring to seek the bill's new high-risk designation for Schoenborn, which would be a first for the province and the most high-profile use of the new laws to date. "It certainly seems like a much more aggressive approach has been taken," said Scott Hicks, Schoenborn's lawyer, referring to the Crown's strategy. "My guess is that they're considering it." Schoenborn was declared not criminally responsible on account of a mental disorder, or NCRMD, for stabbing his daughter and smothering his two sons in their Merritt, B.C., home in April 2008. A B.C. Supreme Court judge found he was likely suffering from a psychotic state. He has been held in custody at a psychiatric hospital in suburban Vancouver ever since. The B.C. Review Board is now considering whether supervised outings would aid his rehabilitation. The hearings began in February and are scheduled for up to three more days this week. Most hearings take about half a day. In an unusual step, an expert critical of international guidelines used to assess the degree of Schoenborn's threat is expected to testify. Any high-risk application made later to B.C. Supreme Court would rely on data about the person's current mental condition, his past and expected course of treatment, and opinions of examining experts, said Crown spokesman Neil MacKenzie. The Criminal Justice Branch has decided the new law can be applied retroactively. "The branch intends to complete the annual process and then we'll determine what the appropriate next step may be," he said. Representatives of the children's mother have openly decried the tribunal's process, arguing the hearings, which Schoenborn attends, rip open their healing wounds every year. A cousin and spokesman joined mother Darcie Clarke in successfully petitioning the federal government to beef up victims' rights with Bill C-14, which since July has allowed the Crown to apply for the high-risk status. 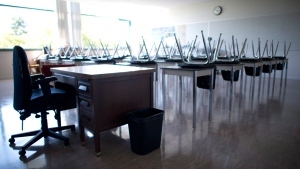 The family has pushed for the board to impose a newly scripted three-year period before Schoenborn's next review. But the legislation is widely misunderstood and has little practical effect when put to practise, say several closely familiar professionals. Under the new law, any high-risk accused will be held in custody indefinitely. And though the board has been granted the power to unilaterally extend the review time up to three years, both its chairs in B.C. and Ontario have publicly argued against doing so. Justice Richard Schneider, who heads the Ontario Review Board, said that if an NCRMD person was marked with that most serious label, it would make more sense to keep holding annual reviews. "If you think you're going to have a pot boil over on a stove because it's a dangerous situation, do you want to look at that less frequently or more frequently," he asked. Schneider said Schoenborn's review this year sounds like a "circus," noting predicting the Crown's plans would be speculation -- but its "elevated interest" made that future scenario plausible. But family spokesman Dave Teixeira called the board's intended use of the law "counterintuitive." 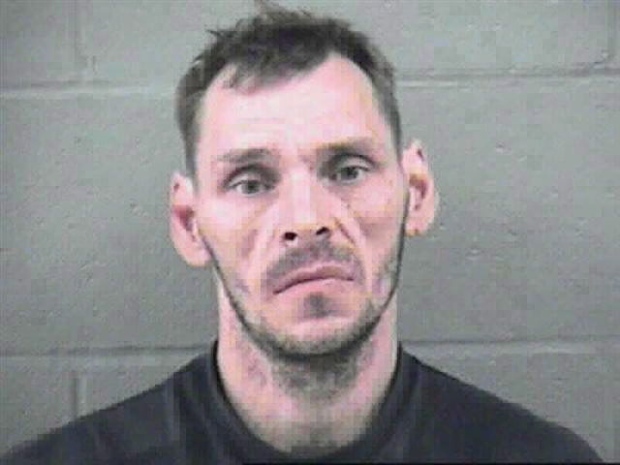 He believes a multi-year term would allow Schoenborn more time to focus on treatment. Schoenborn's lawyer Hicks said the outcome of this week's review could be the deciding factor. Convincing court to designate Schoenborn high-risk would be harder if the board grants him community access, he said. Psychologist Patrick Baillie, an NCRMD expert who testified about the bill before a Parliamentary committee on behalf of the Mental Health Commission of Canada, wouldn't ascribe an "ulterior motive" to B.C. 's Crown. But he said Crown has tended to "retry" the original case in high-profile situations, to amplify how dangerous the person appears. "That's punishment and not the NCR regime in its true spirit." A Quebec man is the only designated high-risk accused under the new regime.